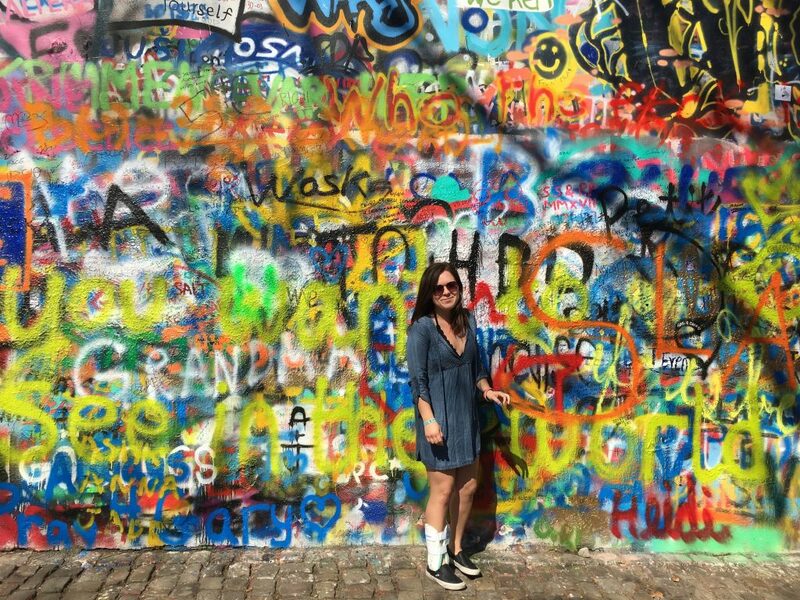 Caroline in front of the John Lennon Wall in Prague while studying abroad. Caroline is a junior Art and Architecture History student with a co-major in Arts Management and a minor in Museums and Society from Orange County, California. While at Miami, Caroline has become involved with Effusions, the Department of Art’s student run publication which showcases a collection of written and visual works from Miami students. During her sophomore year, Caroline was a Curatorial Intern working alongside Jason Shaiman, Curator of Exhibitions, on the upcoming exhibition Telling a People’s Story which uses children’s illustrated literature to convey African American cultural identity. During the semester, Caroline helped Jason and his committee in finalizing an object list (which books and illustrations to be used in the exhibition), research and draft grant proposals, and contact artists about loaning their works to MUAM. The exhibition will open in January of 2018. This year Caroline is working with both marketing/communications and collections is order to get a deeper understanding about the ins and outs of museum work and looking forward to all the progress the museum will make throughout the year! While in Oxford, her favorite place to eat Skippers and her favorite food is french fries.